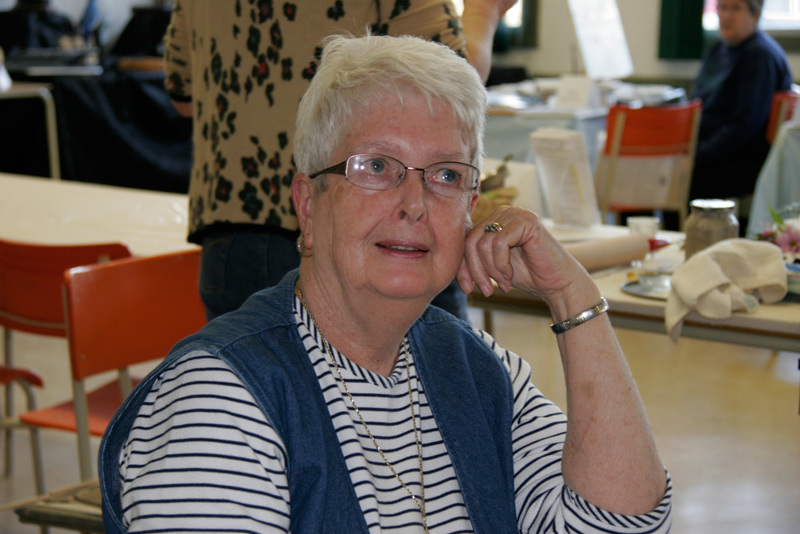 Betty (Quillan) MacDonald was born and grew up in Sheet Harbour,NS. She marriedStan(Muzzy) MacDonald and spent 25 years as a military wife in Alberta, Ontario,Prince Edward Island and Nova Scotia. She and her husband retired in Sheet HarbourIn 1985. 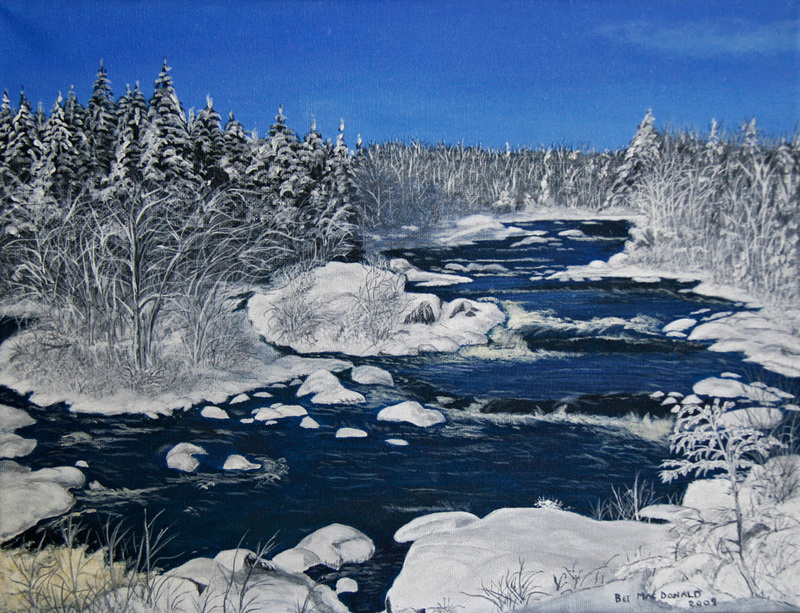 Bet has always had a desire to draw and paint and after a few feeble attemptsOver the years she gave it another try in 2004 after seeing lessons offered by Sandy Moser through Community Schools. Bet has created about 30 paintings since she began. 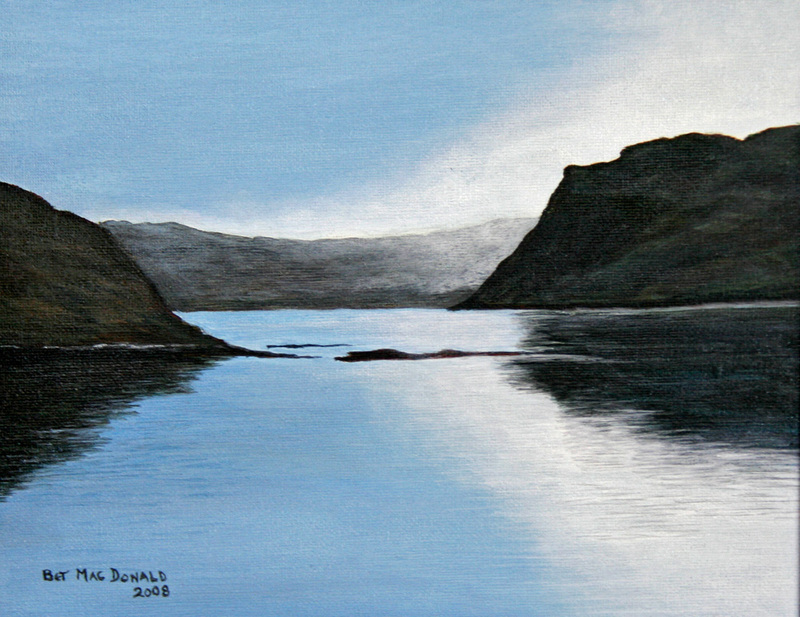 She has done landscapes, flowers, a bald eagle and seascapes. 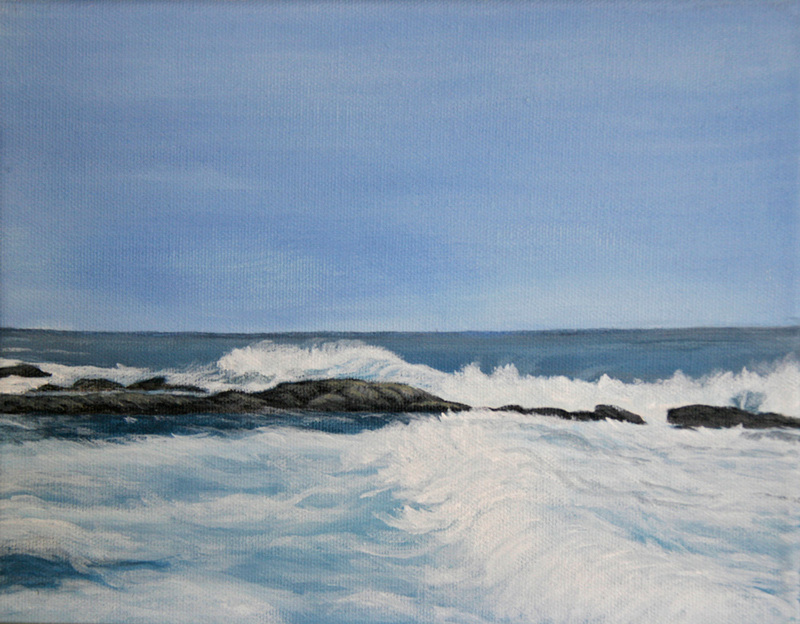 Bet uses acrylics and paints in a realistic style. 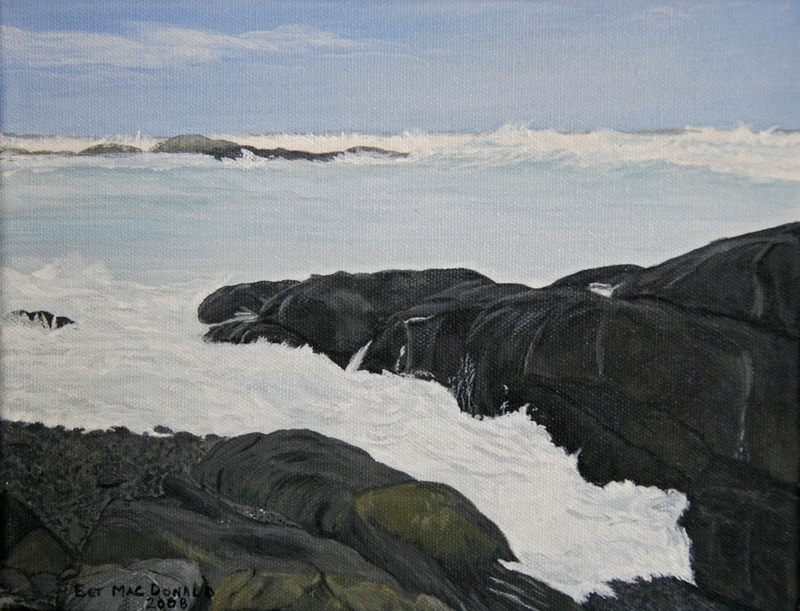 She especially likes to do seascapes and is inspired by the scenery and fishing villages in the Sheet Harbour and surrounding areas. 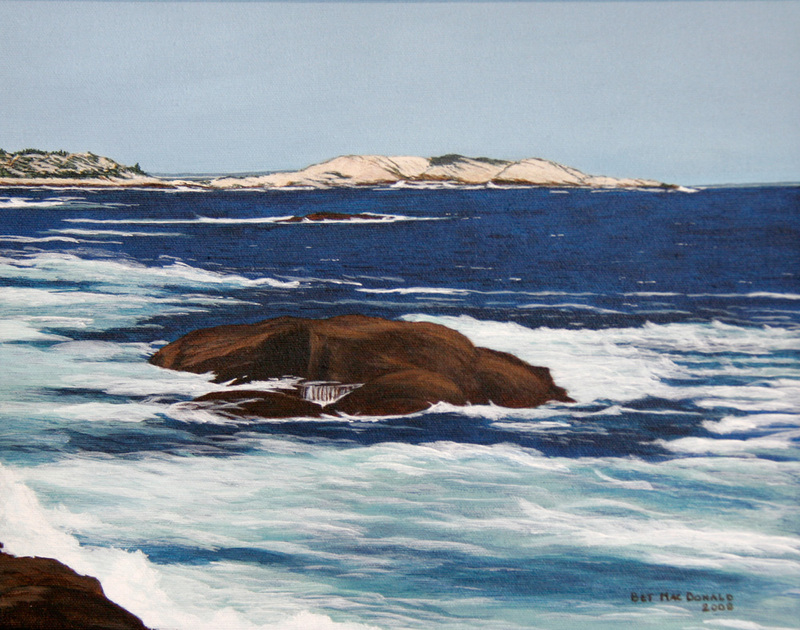 Bet’s paintings are in collections in Saskatchewan, Ontario, New Brunswick, Nova Scotia and United States.